The ideal 2-wheel cargo bike with pedal assistance. The Babboe City-E is a solid two-wheel cargo bike with a sporty feel. Agile, fast and light. Its slender design makes this cargo bike very practical on busier roads. It is easily manoeuvrable in traffic, even with a full box. This cargo bike comes standard with one bench, providing space for 2 children. Extra bench available to seat 4 children. Tyre size Schwalbe Big Apple 26 inch rear wheel, 20 inch front wheel. Frame Extra sturdy, anthracite-coloured frame with shockproof powder coating, treated on the inside to prevent rusting. Box material European beech wood, pressed in a curved shape for extra sturdyness and rounded corners for safety (no sharpt points). The wooden box is PEFC-certified (European Programme for the Endorsement of Forest Certification). Charging time From completely empty to completely charged: 4-6 hours. The Babboe City cargo bike comes with full warranty on parts. The warranty period differs depending on the part. Please refer to the warranty conditions for exact periods and conditions.  See the warranty terms for the Babboe City. We know how important safety is, because we are parents ourselves. Our cargo bikes are therefore tested for safety and durability by the European test authorities SGS and/or TÜV. Ready to go: Babboe delivers the cargo bikes assembled and ready to go, assembly and home delivery is already included in the price. Curious about the delivery time? Take a look at this overview with delivery times! The motor is located in the rear wheel and the battery is located under the rear carrier, ensuring maximum space in the box!